Connect your Nero Trigger or Nero Trigger MT to a Canon sub mini camera with this Nero Trigger Cable from Miops. Nero Trigger Cable for Canon Sub Mini Cameras is rated 4.0 out of 5 by 2. Rated 3 out of 5 by photo.dave from simple connection This allows your Nero trigger to communicate with your camera. Be sure you buy the correct cord for your camera as they do not all use the same plug design. If you have doubts call B&H for advice. The cord itself is short but in my application it is fine. Rated 5 out of 5 by Ramon S from Nero Trigger Cable Works great with the NEro Trigger. Is this compatible with the canon ESO Rebel T6? The Canon Rebel T6 has the sub miniature connection so you are good to go with this cable. 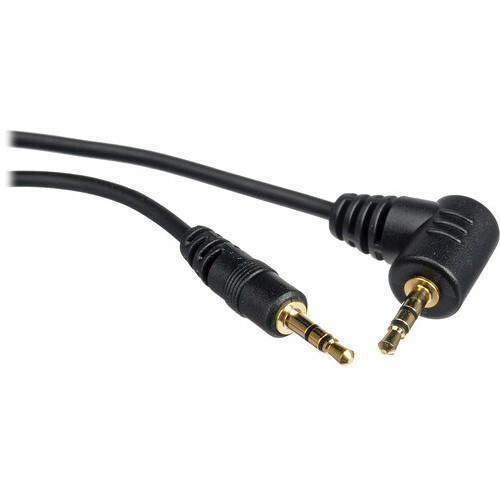 Is this cable compatible with Pentax DSLR cameras, such as K-5 please? Yes, that cable is compatible with any Pentax camera except those that don't have a place to plug it in. Is this compatible with the Hasselblad h series cameras? If not which one please? Yes, that is the correct cable.The specific Hasselblad compatible cameras are the Hasselblad H, H3D, H4D-200MS, H4D-31, H4D-40, H4D-50, H4D-50MS and H4D-60.